"Sargan Eight" Railway | Old Steam-Engine "Nostalgia"
Sargan-Eight Railway (“Sarganska-Osmica”) is a picturesque section of the narrow-gauge railroad cutting through the mountain range near Zlatobor. Well, we all know this simple truth: “Never say never”. In 1999, at the initiative of enthusiasts of steam locomotives with the cooperation of the Serbian Tourism Office the government decided to rebuild the Sargan-Eight railway. Actually one of the first steps in that direction was made by the famous Serbian film director Emir Kusturica. For the shooting of his movie “Life is a miracle” Kusturica build a railroad station Golubice (Doves) at the upper section of the abandoned Sargan-8 (today the station is used as a tourist attraction). During few years of re-construction work the new tracks were installed along the path, and old stations were rebuilt from ruins following their original designs. However this time the whole infrastructure of the “Sargan-8” prepared to meet the needs of tourists rather than passengers. In 2003 the Serbia Railways opened the segment of “Sargan Eight” for the special train service called “Nostalgia”. During the 2.5 hrs ride, the train frequently stops at lookout platforms installed in scenic spots along the tracks allowing tourist to take the photos. But the longest stop is in Jatare Station, where a beautiful restaurant and bar were built into the rocky cliff behind the station. Here tourists can not only have refreshments and time to cool down their emotions, but also climb the cliff to the observation platform opening a magnificent view on the surrounding mountains. The waterfall, ponds, flowers and perfectly maintained grass beautifully add to the already fairy-tale like ambiance revived from the past. The shape of the “Sagran-8” loop is definitely very complex even when we try to capture and memorize it from the map. No wonder that during the ride, most “passengers” completely lose orientation not knowing “where from we just came” and where we are heading in the next few minutes. The scenery is changing in front of you like a cityscape watched from the revolving restaurant. The only difference is that the diversity of nature in this mountainous landscape does not give you many reference points …. Almost every vista opening in front of your eyes seems to be a completely new “event” tainted by a remote thought “I’ve been there”….. Train "meanders" through the mountains range following the path of "least resistance" selected some 80-ty years ago. Indeed, along the way you will see many times the same spots (like for example the ethno-village Kustendorf) but every time from the different angle. Down the hill tracks visible here and there from the upper part of the loop add to the confusion. They seem to lead from nowhere to nowhere in a somehow chaotic pattern and it is quite hard to comprehend that they are part of the same path. 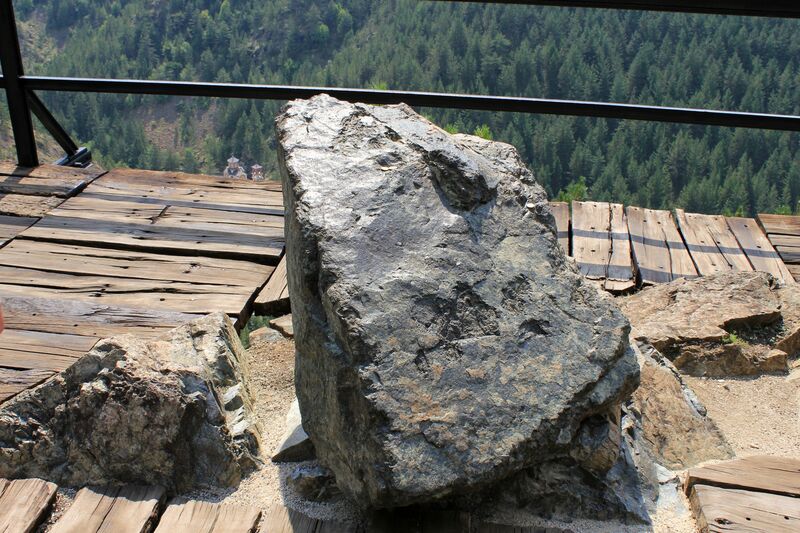 One of the most popular outlooks among tourists is the one called Crazy Rock. Certainly the view from the platform is breathtaking, but in this case it is the Crazy Rock that brings the fame to this place. Fresh rumors have it that some “Charming Prince” proposed here to his girlfriend (do not worry – he was accepted!). Frankly, it is difficult to imagine a different scenario as the place is fabulously romantic! Thanks to effort of the PR team from the Serbian Railroads (congrats, excellent job) the story was quickly spread to the public so these days many young ladies hoping to find their “mad love” come here to stand on the Crazy Rock, take the photo and leave a penny for the luck…..
Steam-engine locomotive pulling the passenger cars is a big part of the nostalgic trip to the past. Leaving behind black clouds and well known smell of the smoke, steam-engines add a lot of charm magnifying already “high-flying” emotions. 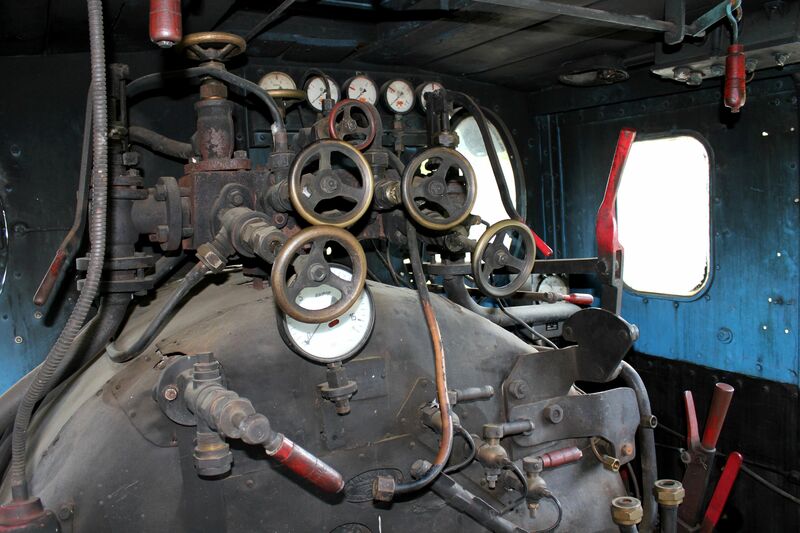 However recently, steam-engine locomotives were replaced by diesel ones. For many this decision may sound like a “betrayal”, certainly taking a bit of soul from the adventure called “Nostalgia”. On the other hand, it probably helps passengers to “survive” the long chain of tunnels in a better shape…. The good news is that diesel engine locomotives do not change the incredible beauty of the “Sargan-8” crossing. The characteristic rattle of the train cutting its way through the mountains still could be heard when riding the old, refurbished wooden railroad cars with stove heaters. 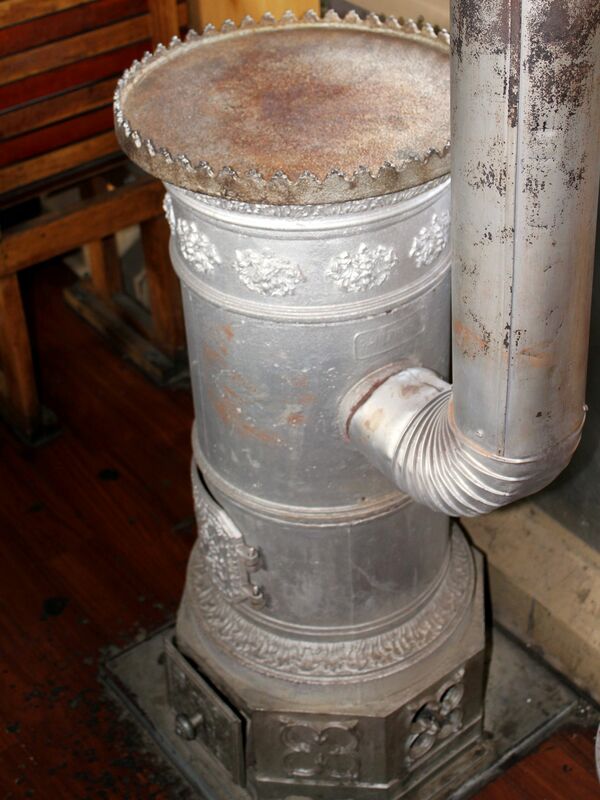 As a consolation for these disappointed - you can still see old steam engine locomotives standing at the stations…. Left: An old gang-car, center: tracks' switches; Right: One of observation platforms along the tracks of the Sarganska Osmica. Jatare Station - here you cannot buy train tickets, but certainly you can stop for a meal, drink and scenic vistas... . 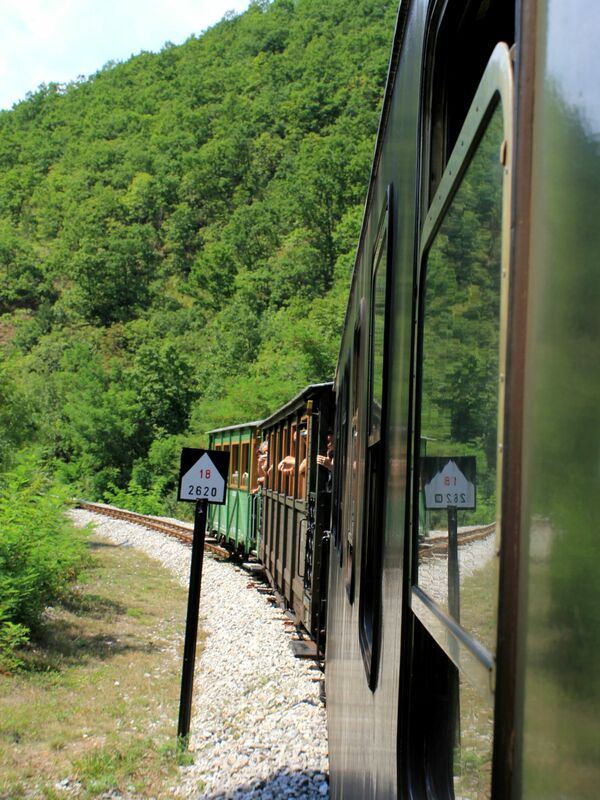 In just few years of operation, the narrow-gauge Sargan-Eight became a major tourist attraction in the Western Serbia. Being at a close distance from other tourist-crowded spots like the nearby ethno-village Drvengrad (Kustendorf) or Visegrad known for its 16th century Mehmed Pasa Sokolowic stone bridge, Sargan-Eight lives probably its best times. The fabulous “Sargan-Eight” (Sarganska- Osmica) is part of a wider program offered for tourists by Serbian Railroads in cooperation with the Belgrade’s Travel Agency. From the mid May till the end of October, every weekend an old train pulled by steam-engine locomotive called “Romantica” leaves Belgrade’s central station for a day trip to selected destinations….